Many a time, home purchasers face the choice between buying Property X, Property Y, or even Property Z. Being able to obtain the most updated information from reliable platform(s) and make an educated, well-informed decision is paramount to buyers. How many of us can confidently choose between 23456 varieties of housing options that are listed online or launched recently? Besides various news articles and web content that will allow you to gain insights into the past historical performance as well as the current market conditions, it would be beneficial for you to be aware of the ways in which you can find raw data in this changing and information-abundant environment. 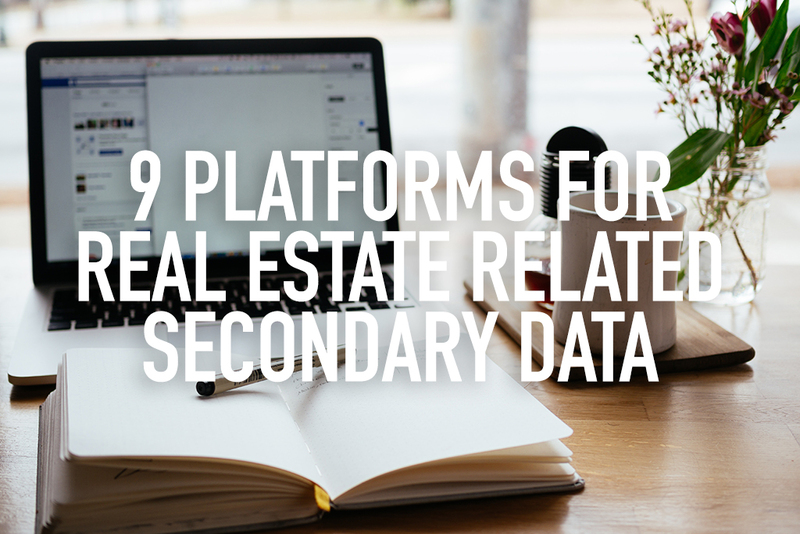 In this article, we will feature 9 platforms that you can search for real estate related secondary data and help to gauge your desired property’s future prospects. REALIS provides comprehensive data in the form of time series database, project database, stock database and transaction database. 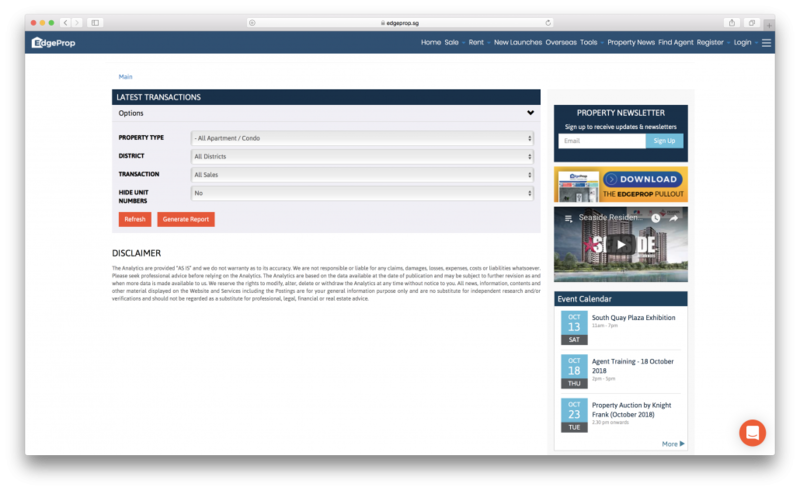 Looking for statistics such as price and rental indices, median prices, stock and vacancy, supply in the pipeline, sales and launches? The time series database contains more than 1,300 time series and all the time series are available from the very day the data was first compiled i.e. the private resale property price index goes as far back as 1975. However, do note that access to the REALIS database is only available for subscribers and the subscription costs $1,800 per year for the first account and $900 each for all subsequent accounts. 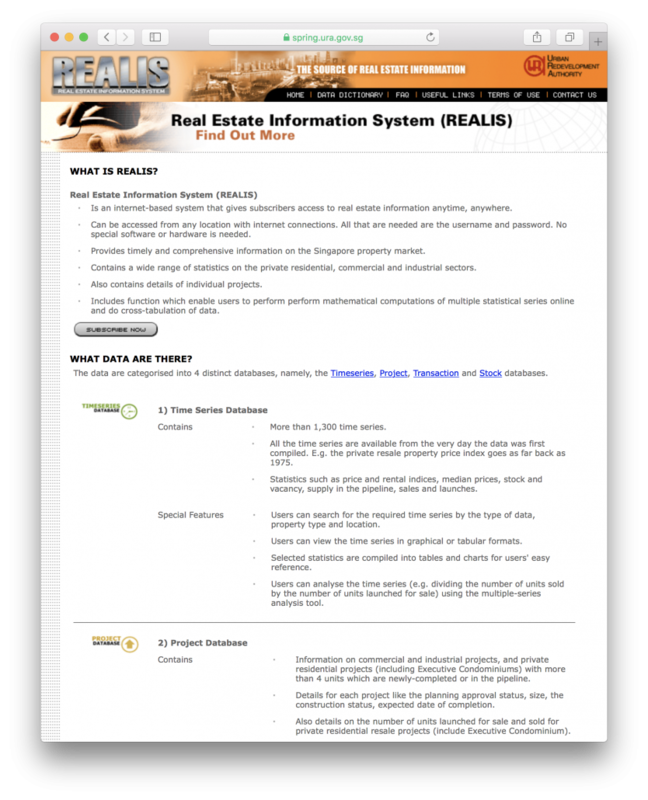 Real estate data such as the historical rental information are available on PropertyGuru. This information will help to prevent you from overpaying any intended transaction(s). 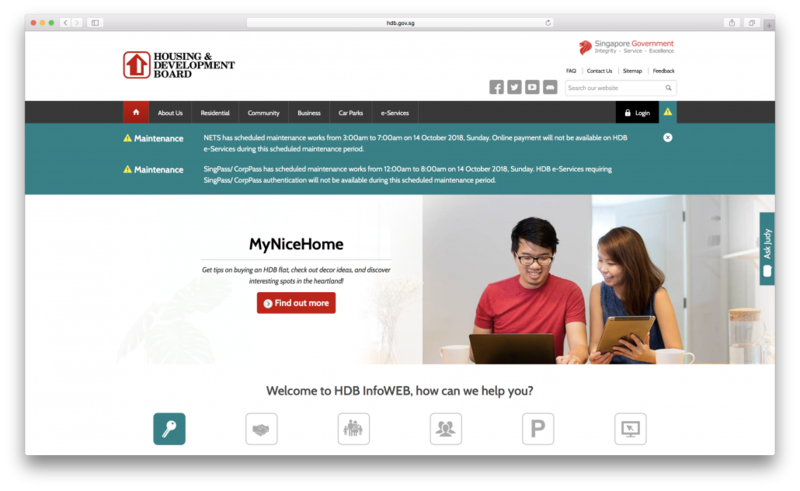 Resale HDB statistics over the past periods can be obtained from HDB Stats. Other information included in this website are year built, area built, block number and floor level. Sorted by district or specific project, the latest transactions are listed in chronological order with price per square foot and unit number. 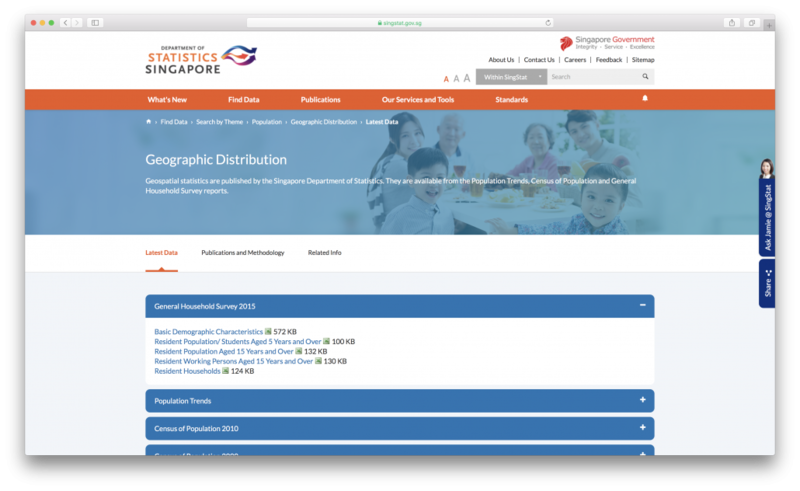 Part of Singstat’s geospatial statistics are basic demographic characteristics, which include resident population in various subcategories such as students and working persons aged 15 years and above. Such detailed analysis allows one to determine which district is best suited for his/her children’s education and learning environment. You can also refer to the URA Master Plan in addition to the demographic data. 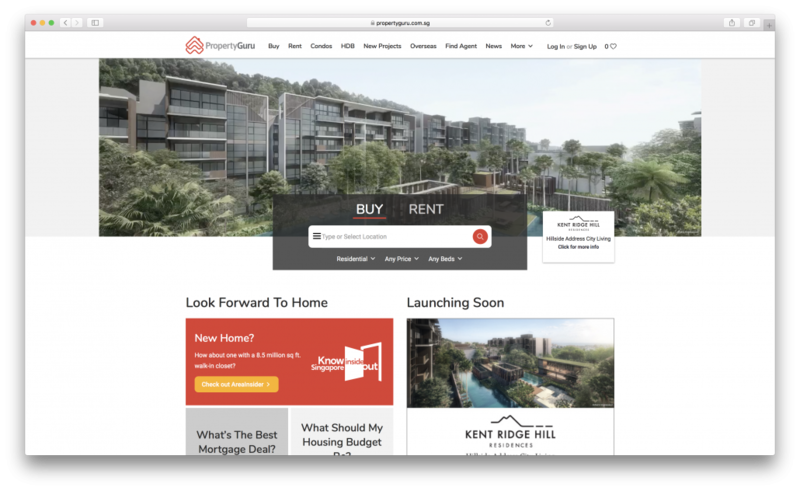 Besides real estate data in the local context, this section highlights some of the useful platforms that can be used for overseas purchases. For those relocating, migrating to an entirely new and unfamiliar area can be daunting — you wouldn’t feel at home in a foreign land. Getting to know the local culture, educational institutions in the vicinity and the distance to workplaces are some of the crucial factors one would consider. Migration involves not just money but strategies as well; hence, it is importance to do prior research and study the flexibility of transacting your property in overseas as well as selection of education institution for kids, etc. Another group of international real estate buyer would be investors, who tend to find the yield on real estate in different continents, flexibility of selling, fees required to pay the managing agent for rental collection and refurbishments. Without prior research, investors may end up losing money in real estate investment in overseas market: some lack expertise in managing the property, or do not have economy of scale in managing a small number of properties. Eventually, this type of investor would end up selling their property at a loss, as they are desperate to let go of their property and would rather put their funds in a yielding basket than be stuck in a foreign property, where they have very little control. 6. 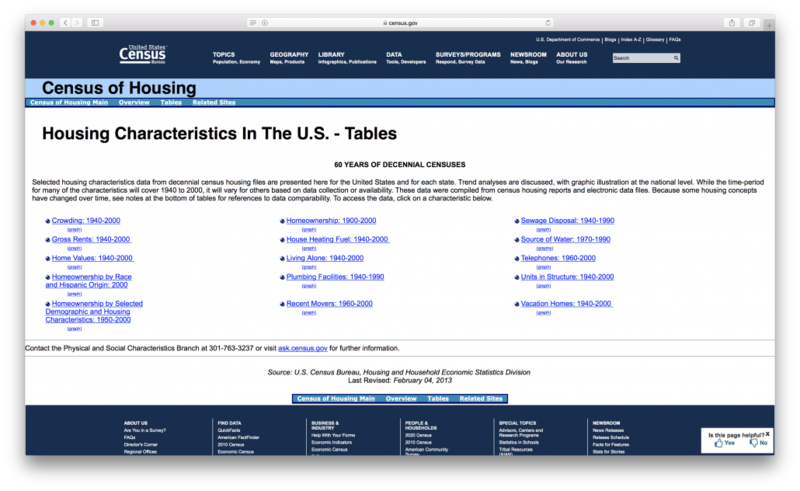 Housing Characteristics in The U.S.
United States Census Bureau, Housing and Household Economic Statistics Division provides trend analysis with physical and social characteristics. It covers the period from 1940 to 2000 for most characteristics, with some variations of time-period for the others based on availability and data collection. 7. 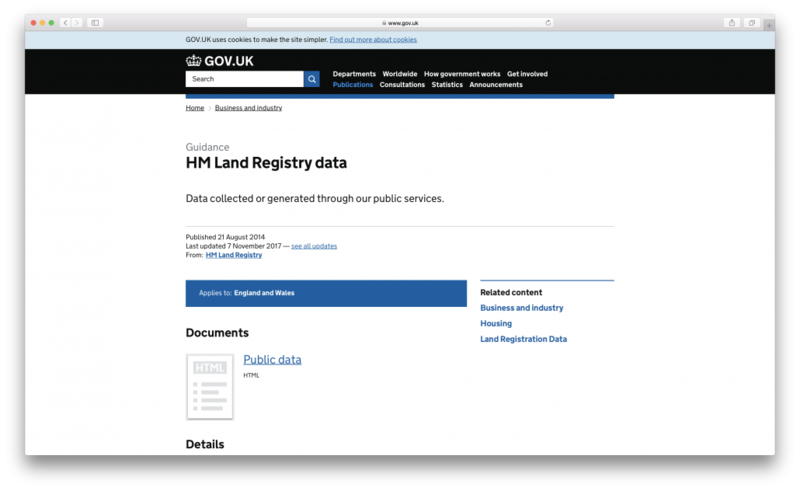 Housing Transaction Data in the U.K.
Land registry publications in the UK provides basic information in relation to land title ownership, etc. 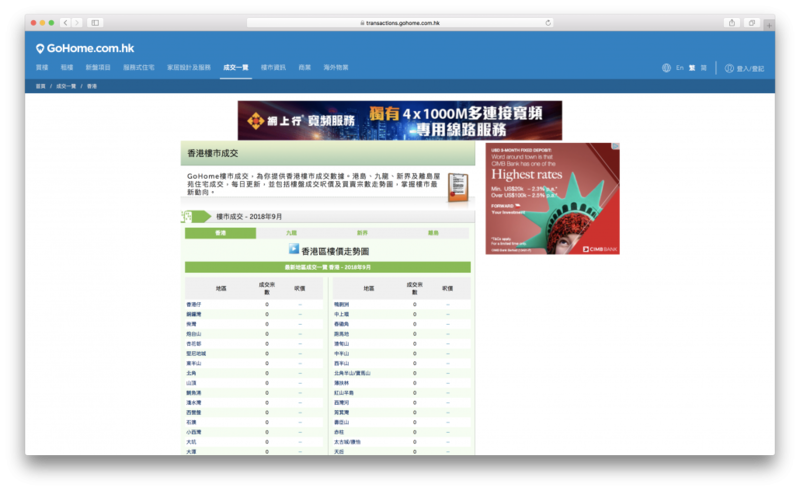 This serves as a credible source of information for users, as they no longer need to find answers by unauthorized individuals. This site includes useful features such as the percentage increase or decrease in square foot prices, as compared to previous month or quarter. It is a convenient method for you to make comparisons, especially when the number of transactions is huge in bigger projects. 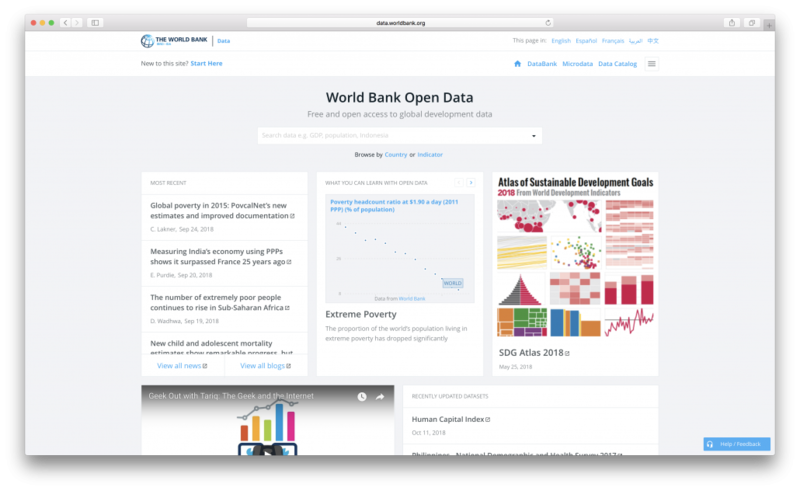 This website provides free and open access to global development data. This includes GDP Ranking (PPP Based), World Development Indicators, Country Profiles, etc. While the above platforms will allow you to conduct a basic and unbiased check prior to your real estate purchase, a thorough study should be established with lawyers and real estate professionals, especially for investors buying foreign real estate properties in larger scale. In emerging countries with lesser high-rise buildings and lack of data, it may also be tedious for property buyers to search for more information such as land demarcation, land title transfer processes, common area land for sale, auction sales in foreign land, etc. As such, engaging real estate professionals will help to manage real estate investments at an efficient tax frontier while acquiring know-how strategies in maintaining these properties.